One of Putin’s goals is the destabilization of the European Union. With Hungary, he is succeeding. As the conflict between Russia and Ukraine enters its fifth year, another Eastern European state is appearing on the Kremlin’s radar, albeit in quite a different regard: Hungary. This is hardly surprising to many—Hungarian Prime Minister Viktor Orbàn has been espousing an anti-European and pro-Russian campaign for some time now. While Hungary has not outright rejected all of Europe’s values, he is firmly against immigration and increasingly receptive towards the overtures of Russian President Vladimir Putin. 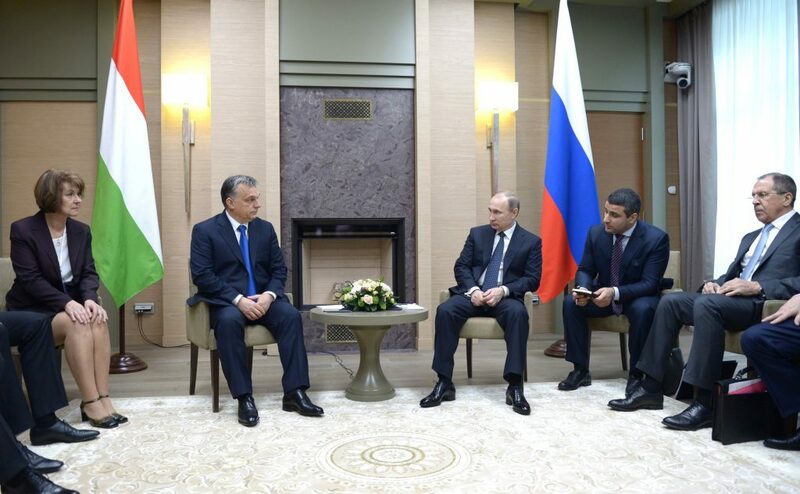 Russia agrees to supply Hungary with natural gas via the TurkStream pipeline—bypassing Ukraine. The European Union imports the majority of its natural gas from Russia. For some time, this relationship has relied on the free flow of gas through Ukraine. In recent years, the trading relationship between the E.U. and Russia has been under increasing strain due to the war in Eastern Ukraine, Russia’s annexation of Crimea, and rising prices. The gas transit arrangement between Russia and Ukraine will expire at the end of 2019. Given that Ukraine and Russia remain in a de facto state of war, it is unlikely that a new transit agreement will be implemented. What does this mean for Hungarian natural gas imports? 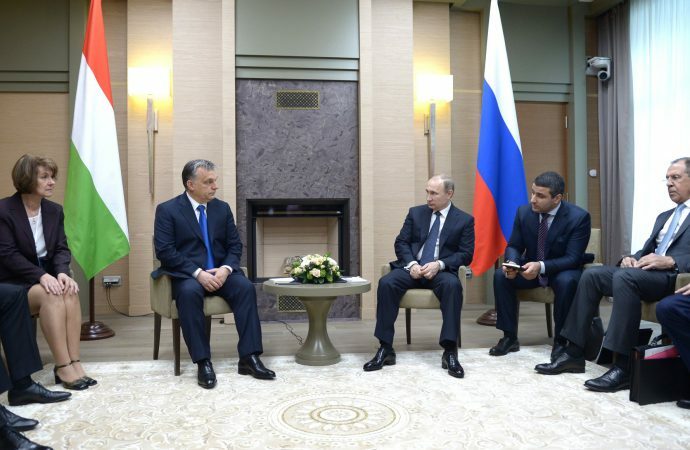 According to Hungarian Foreign Minister Péter Szijjártó, Russian gas exports to Hungary will transit via the TurkStream pipeline. Europe’s dependence on Russian energy is growing. Europe’s dependency on Russian gas is an increasingly contentious issue in the realm of international relations. The Nord Stream 2 pipeline—a project led by Gazprom—will directly connect Germany with Russia, bypassing Ukraine. Germany’s commitment to Nord Stream 2 has been repeatedly criticized by the United States. Former Secretary of State Rex Tillerson and current Secretary of State Mike Pompeo both strongly opposed the pipeline because Nord Stream 2 will increase Europe’s dependency on Russian energy while simultaneously harming Ukraine’s economic and national security. It’s not likely that Russia would move to cut off European gas supplies if the E.U. failed to support specific policies, but the possibility is nevertheless a matter of concern for both European and American policymakers. Furthermore—beyond the energy sector—further amelioration in an already warm Hungary-Russia relationship is a matter of concern for the E.U. as many worry Hungary could serve as a Trojan horse in an increasingly fragmented European Union. Why does the Hungarian-Russian relationship matter? The European Union is based on the principle that democratic states are stronger and more peaceful when they act together rather than alone. Unfortunately, for the past few years, neither the E.U. nor Hungary has seen eye-to-eye. Under Prime Minister Orbàn, Hungary has been accused of breaching democratic norms. Orbàn’s government has severely weakened the plurality of the country’s media while cracking down on civil society as well as educational freedom. Orbàn has touted Hungary as Europe’s first “illiberal democracy,” going so far as to object to E.U. sanctions on Russia. Furthermore, in June 2018, Hungary was the only E.U. member to vote against providing increased aid to Ukraine. The destabilization of the European Union and other Western institutions is a crucial objective for the Kremlin, and one that has been successful with regards to Hungary. Natural gas deals that thumb the nose at the European Union coupled with Orbàn’s anti-European rhetoric all act in Putin’s favor. Even more concerning is the International Investment Bank (IIB)’s imminent move to Hungary. The IIB is a Moscow-based development bank that is seen by many European officials as a cover through which Russia can subvert European institutions. Orbàn has already granted the IIB immunity from any regulatory or prosecutorial authority and has accorded IIB officials with diplomatic status in Hungary. For European and American policymakers, the Hungarian-Russian relationship is one that merits increased scrutiny for the foreseeable future.